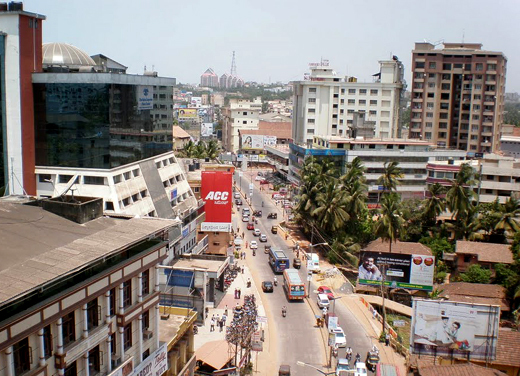 New Delhi, Aug 27, 2015: Mangalore seems to have beaten other cities of Karnataka in the race for being selected as an elite smart city by the Union government. Today Modi government released a list of 98 cities which are going to be developed into smart cities. Among the 98 cities, 24 are state capitals. The list, released by Union minister Venkaiah Naidu, includes 6 cities from Karnataka, 13 from Uttar Pradesh, 12 from Tamil Nadu, 10 from Maharashtra, 7 from Madhya Pradesh, 3 from Bihar and 3 from Andhra Pradesh. Talking about the project, Venkaiah Naidu said that the "prime motive behind the smart city project is to enhance urban life." The government will be selecting 24 cities for the smart city project in the first year. Prime Minister Narendra Modi has launched the criteria and guidelines for 100 Smart Cities to be selected through city challenge competition in June 25. Centre has earmarked Rs 48,000 crore for development of 100 smart cities. Each smart city would get a Central assistance of Rs 100 crore per year for five years. Here is the list of smart cities released by the government today: Port Blair, Vishakhapatnam, Tirupati, Kakinada, Pasighat, Guwahati, Muzaffarpur, Bhagalpur, Biharsharif, Chandigarh, Raipur, Bilaspur, Diu, Silvassa, NDMC, Panaji, Gandhinagar, Ahmedabad, Surat, Vadodara, Rajkot, Dahod, Karnal, Faridabad, Dharamsala, Ranchi, Mangaluru, Belagavi, Shivamogga, Hubballi-Dharwad, Tumakuru, Davanegere, Kochi, Kavaratti, Bhopal, Indore, Jabalpur, Gwalior, Sagar, Satna, Ujjain, Navi Mumbai, Nasik, Thane, Greater Mumbai, Amaravati, Solapur, Nagpur, Kalyan-Dombivalli, Aurangabad, Pune, Imphal, Shillong, Aizawl, Kohima, Bhubaneswar, Rourkela, Oulgaret, Ludhiana, Jalandhar, Amritsar, Jaipur, Udaipur, Kota, Ajmer, Namchi, Tiruchirapalli, Tirunelveli, Dindigul, Thanjavur, Tiruppur, Salem, Vellore, Coimbatore, Madurai, Erode, Thoothukudi, Chennai, Greater Hyderabad, Greater warangal, Agartala, Moradabad, Aligarh, Shaharanpur, Bareilly, Jhansi, Kanpur, Allahabad, Lucknow, Varanasi, Ghaziabad, Agra, Rampur, Dehradun, New Town Kolkata, Bidhannagar, Durgapur, Haldia.